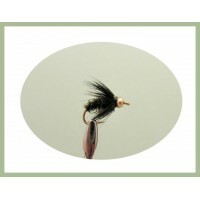 The Goldhead Bibio, will work well on a floating or a sinking line, a popular choice for still water.. 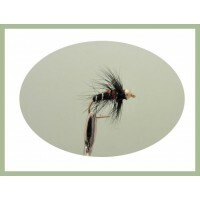 The black pennell fly is one of the more traditional patterns around. Here we have it tied on a gold.. 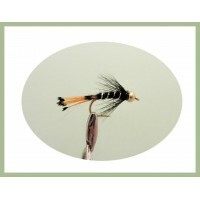 This goldhead trout fly in the black and peacock design is a little beauty, popular all year round. ..